In order to provide maximum uncluttered exterior views, the covers of the retractable pool enclosures have been designed as a thermally efficient, light weight, clean retractable system. No need for additional supports for longer spans, webs or trusses. The end walls feature a slender support design and the framing system provides a larger clear viewing area. The swimming pool enclosures still provide the required strength, while being light enough for fluid retraction movement. The automatic swimming pool enclosure system has been specifically designed with the aim to allow for of an enclosed area for year-round use. This is a state of the art and modern architectural product. 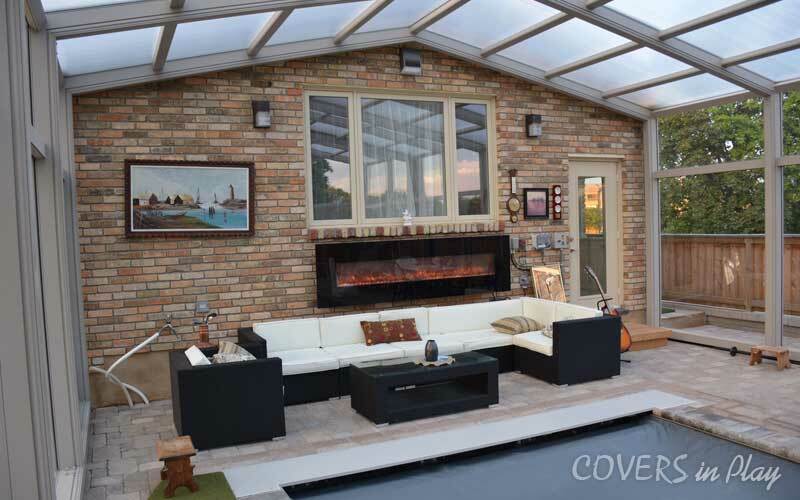 An automatic retractable swimming pool enclosure can provide an outdoor view to an indoor setting, just like a sunroom. However, unlike an indoor pool or a sunroom, a retractable enclosure can be opened up with the automatic drive. This way, an automatic swimming pool enclosure offers the best of both worlds. In case that you are pool owner looking to install a swimming pool enclosure, you will enjoy multiple benefits. Pool enclosures are a great way to enable you enjoying swimming all the year round, even in a chilly weather. They can protect the pool from UV rays, snow, wind, and rain, as well as enhancing the air temperature inside. 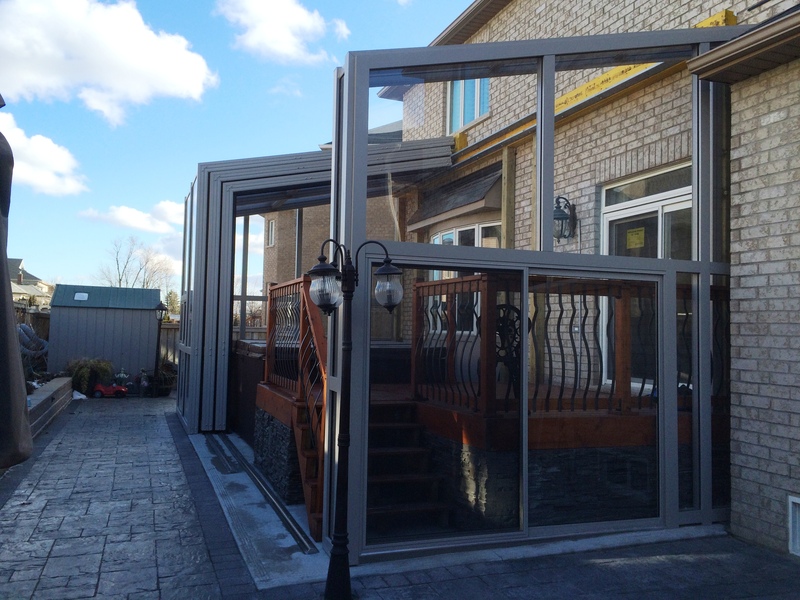 For these reasons, a retractable pool enclosure has become very popular on the market. A swimming pool enclosure is typically built with panels made of acrylic and polycarbonate sheets mounted on an aluminum frame. The roof is made of polycarbonate material that still allows you see through. This way, the swimming pool enclosure is very safe. Its design makes it suitable for any square or rectangular pool. You can have one built even over a large sized swimming pool. Home users, hotels and resorts can all take advantage of the benefits of using automatic retractable pool enclosures to cover their swimming pools. Everyone can afford to install them, as they are coming at affordable prices. Having a swimming pool enclosure can also ensure protection from the harmful UV rays. You will be able to control the UV rays entering your pool area and enjoy swimming without worrying about sunlight overexposure. This setting also increases your property value and enhances its beauty. A retractable pool enclosure can greatly improve the aesthetics of your home, resort or hotel. Your pool is transformed into an oasis of relaxation. Retractable pool enclosures, especially the automatic ones, are very easy to operate. They open with a push of a button. Covers In Play, Roof Enclosure, Swimming Pool Enclosures. permalink.